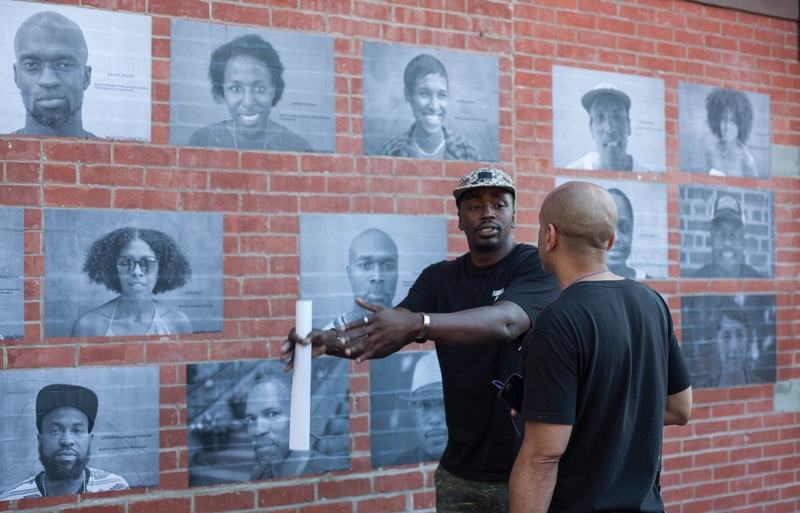 Griots in ‘The Stuy’: A Neighborhood as a Living Archive is an ephemeral public art exhibition of photographs along Tompkins Avenue, and an online archive of personal stories from Bed-Stuy residents about the neighborhood they call home. Rasu is an independent curator, social sculptor and entrepreneur whose work investigates the intersection between art, culture and civic engagement as a means of raising critical consciousness. The objective of his work is to catalyze interaction between artists, the local community and the wider public, in order to promote awareness around social issues through exhibitions, humanities, community programs and cultural events.